Who: People needing a day for themselves. What: A curated series of hedonistic workshops, classes, and meals (details below). Why: I don't know about you, but I am craving a day in the city to connect with myself and like-minded people, learn some cool new things, move my body, eat great food, and chill out. I also don't have the time or money to go on a full weekend retreat away. 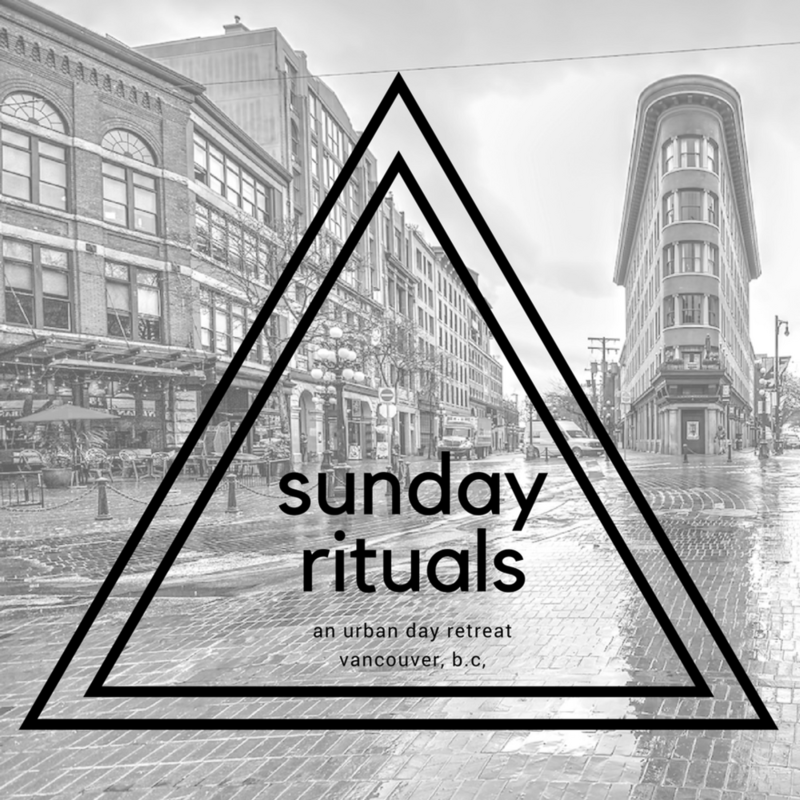 Urban day retreat = problem solved and desires answered. Save your seat here. All sales are final. We are modern meditation. While enlightenment is great, your inbox is full. We get you and our meditations do too. We believe meditation is essential for mental wellbeing and so, in each session, you will learn tools to support your mental health. The session begins with a mindful activity, an opportunity to debrief, and two meditations- curated and designed to help you find calm amidst the chaos. We are an underground boxing studio located in Gastown Vancouver. Our fitness and personal training classes are authentic and true to boxing technique. All of our trainers are experienced boxers & fitness instructors who guarantee a great workout while developing your skills. How does stress manifest physically in your body? Have you ever wondered why you have chronic back pain when you have not been in an accident? Or why your digestion is affected when you travel or are under a lot of work stress? Chinese Medicine looks at these physical manifestations in the body and treat the emotion that can be associated with these triggers. In your group acupuncture workshop Vivien will highlight how different emotions will effect the body and how the use of acupuncture and mindfulness techniques will allow for you to have a better grasp at what your body is trying to communicate with you. Mara & Erin from Glow Dermal Therapy will guide you through a hands on ritualistic facial while educating you on what it takes to achieve and maintain healthy glowing skin. You will be expertly guided through firming/toning massage techniques and educated on the science behind skincare ingredients that actually work to create changes on a cellular level. This workshop will be interactive, please bring all your burning skin questions! You will leave feeling empowered.. and with samples to take matters into your own hands at home! The nutritionist's of My Edible Advice will prepare a plant based feast to fuel your body and mind. We will talk about the gut-brain connection and why it is so important to make sure both are working well together so that you can feel and be your best. Menu: TBD by what is available at the market. Picture a hearty, warm, autumn inspired family style lunch with something for everyone. All food intolerances and preferences will be respected. We'll wrap up the day with a herbal tea blend made especially for us by herbalist extraordinaire, Dr Marisa Marciano, ND and read our tarot cards to end on a high.